The bread machine can be a fabulous appliance if you follow a few special rules. You must carefully read through the instructions and manuals that come with your machine because that will teach you bread machine basics. And for your first attempts, use the recipes in your machine's recipe booklet, because they have been developed for success with that specific product. Don't know your bread machine's capacity? 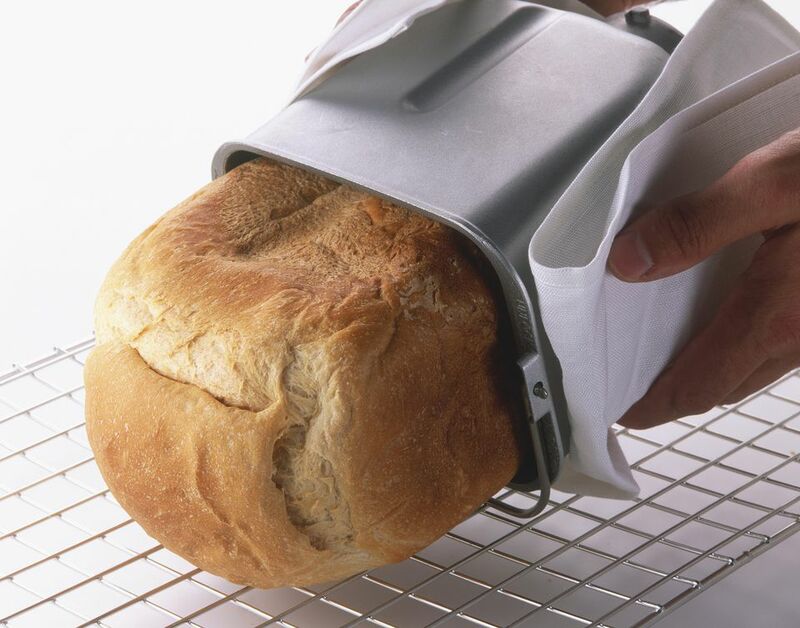 Here's a great tip: The basics for bread machine baking: have all ingredients at room temperature, follow the recipe ingredient layering instructions carefully, measure correctly, use bread flour and instant or bread machine yeast, practice with basic recipes first, and check the dough consistency after kneading. You can even use the machine just for kneading and rising, then shape the bread yourself with fancy techniques, and have a ball inventing your own special bread recipes! Use the information below to use your bread machine to its fullest capacity. You'll learn what to look for when buying a machine, how to compare features and brands, bread machine sizes (did you know there are now horizontal bread machines? ), troubleshooting charts and tips, how to convert standard recipes to the bread machine, and generic instructions. Then try the fabulous recipes below! It's vital to carefully read through the instructions and manuals that come with your bread machine. And for your first attempts, use the recipes that come with the machine, because they have been developed for success with that product. Make sure your ingredients are fresh, and measure carefully. Have all the ingredients at room temperature and add them in order that the recipe specifies, particularly if you are using the delayed start function. Usually the recipes state that liquids are added first, then salt, sugar, flours, and finally the yeast. I feel that the most important step in using a bread machine is to check the dough about 10 minutes into the kneading cycle, before the bread begins to rise. If the dough is too dry or too wet at this stage, the finished product just won't be right. Don't be afraid to lift the lid and pinch the dough. It should feel smooth, soft, springy, and slightly sticky. If it's too dry, add 1 tablespoon of water and test again. Continue adding water until the dough is the proper consistency. If the dough is too wet, add 1 tablespoon of flour at a time, until the dough is soft, smooth and springy. Make sure to remove the bread and pan from the machine as soon as baking is completed. Let the bread rest in the pan for 10 minutes before you try to remove it. This cooling period makes the bread easier to remove from the pan and the crust will be undamaged. When you get more experience, King Arthur Flour sells many different types of bread enhancers you can try to improve the texture, quality, and freshness of your homemade bread.